Learn how to use Finale for music creation, music preparation, arranging and orchestration, song writing, and playback. The material is presented in form of training videos, articles, and open discussions. I have been using Finale professionally for over 20 years. 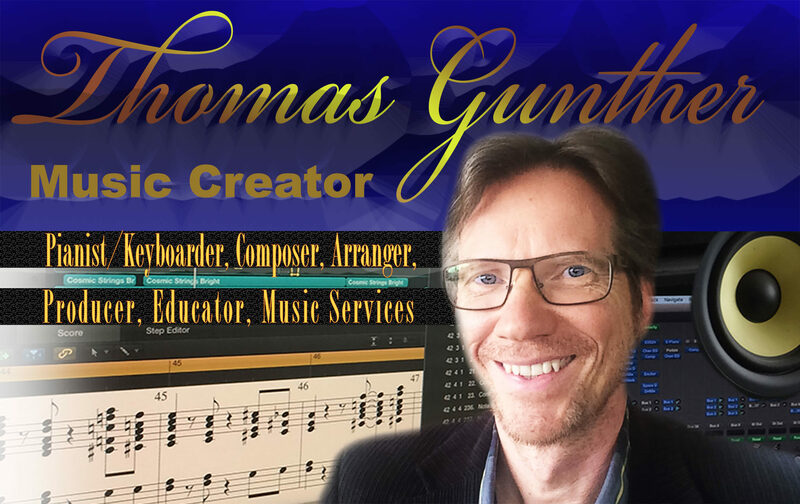 On this blog I share with you how I use Finale as a music engraver, arranger and orchestrator, song writer and producer. 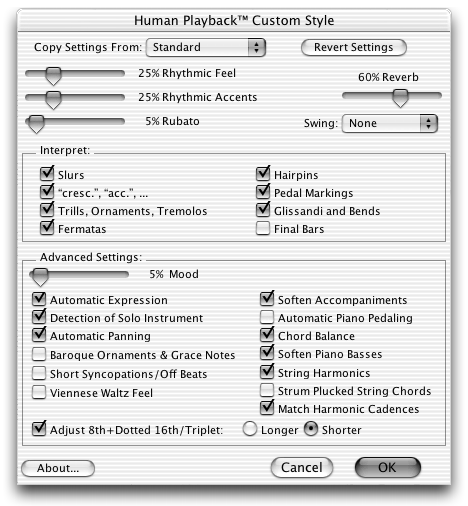 Many Finale users are unaware that Finale has a very sophisticated and unique audio engine called Human Playback. It functions very differently from an ordinary midi sequencer interpreting music in a musical way similarly to how a musician does it. Although this may sound slightly overstated, there is a lot more to it. Allow me to explain. Finale’s Human Playback interprets almost every music notation symbol and text expression you write into a part such as dynamics, articulations, bowing instructions, phrase markings, tremolos, trills, glissandos, phrasing, technical text, genre and style, tempo marks, breath marks and fermatas. It even offers a dialog box where you can personalize how Finale interprets those musical elements. I started to use Finale more frequently for generating beautiful sounding playbacks. Most of my clients like to hear my scores after they are finished. Of course I could just export the entire score as a stereo audio file. But I like to go the extra mile and export either instrument groups or every single part of the score as a separate audio file. Why? Because I want to improve the sound by importing the files into Logic or Pro Tools where I have all those beautiful plug-ins and automation options to make each part sound even better. Sure, doing it that way will take a little extra time, or even a lot more time depending on the instrumentation, but as a perfectionist I like to go the extra mile. Unless of course, I can afford to hire a real orchestra to record it. Why would I not just export the score as a midi file and import that into Logic or Pro Tools? Simply because most of the Human Playback’s unique information is specific to the Garritan sound library used by Finale. Sound libraries that are used in Logic or Pro Tools are not able to process this information properly. Once you have created your score take advantage of Finale’s Human Playback feature. 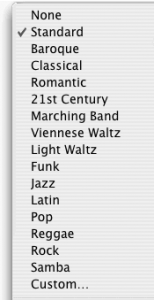 You can select from many different genre. You can even tell Finale to which degree you want the eighth notes to be swung. I find it a fantastic way of transferring all the information I put into a score to an audio file without having to write any time consuming automation data. Try it! I know you are gonna love it! See the article on Exporting Parts as Audio Files in Finale (Training Video included).